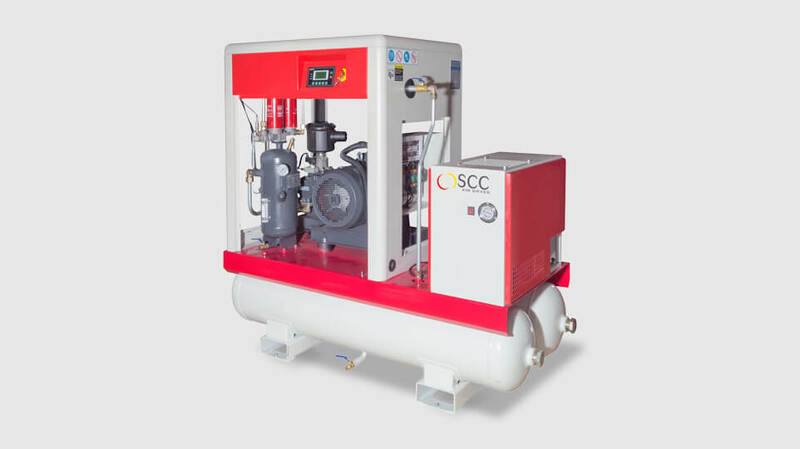 We offer compressors of the manufacturer SCC Air Compressors with different performance levels and equipment. Whether mobile, oil-lubricated or oil-free, we have the right compressor for trade and industry. Take the fast track to your new compressor: our compressor form for your inquiry! 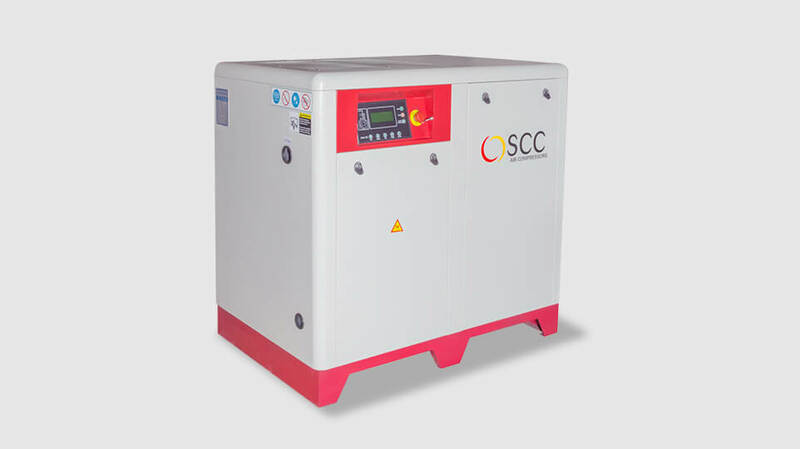 Oil injected screw compressors 4-18,5 kW. The range of Smart compressors is the customer friendly answer for a simple but efficient supply of compressed air with the highest quality. Easy to install, extremely silent, customer friendly maintenance and with a small footprint for easy installation where space is limited. 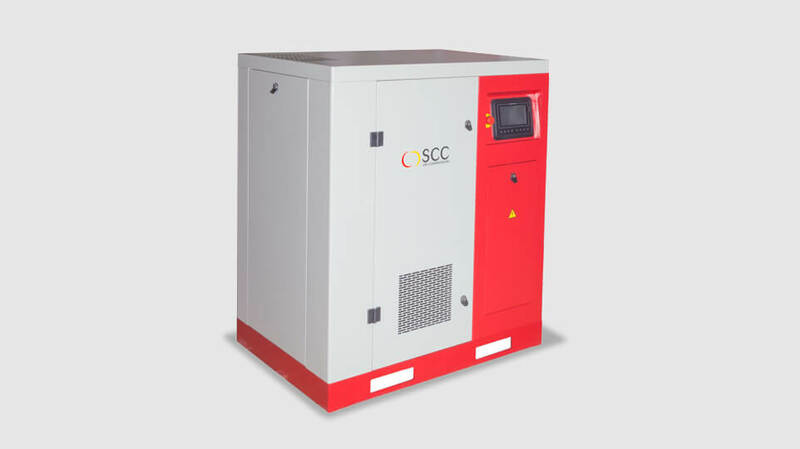 Oil injected screw compressors with direct drive 22-75 kW. The range of Focus compressors is designed for energy saving. So our customers can save energy and costs and do something good for the environment by saving our energy resources. 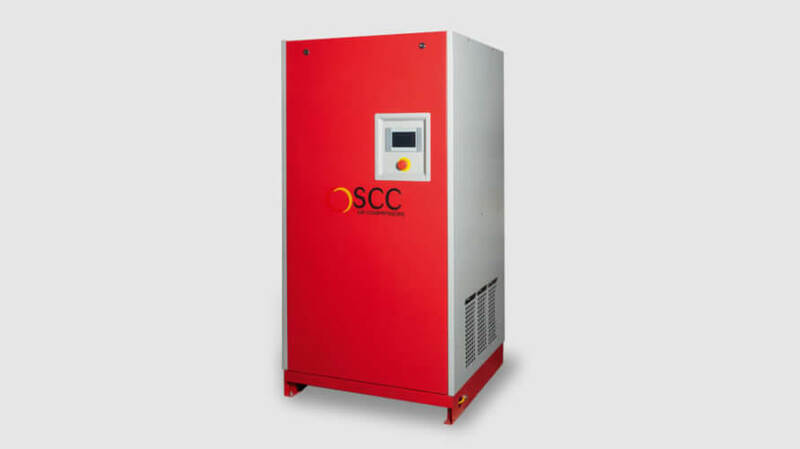 Oil injected screw compressors with variable speed drive 11-75 kW. 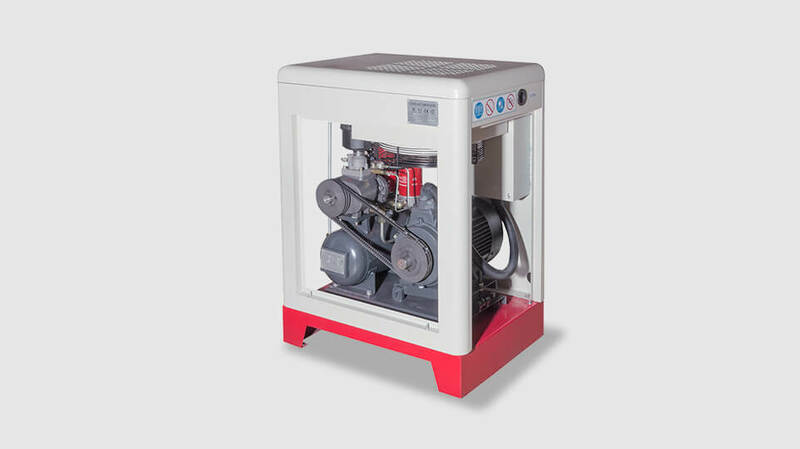 The compressors in the Flexi range are first class in energy saving. They save up to 35% of energy costs compared with a standard compressor. Oil injected screw compressors wit variable speed drive and permanent magnet motor. The Strong compressors are the champions among the energy efficient compressors. By using highly efficient Permanent Magnet motors compressors can save an additional 10% of energy compared with a frequency controlled compressor with an asynchrony motor. 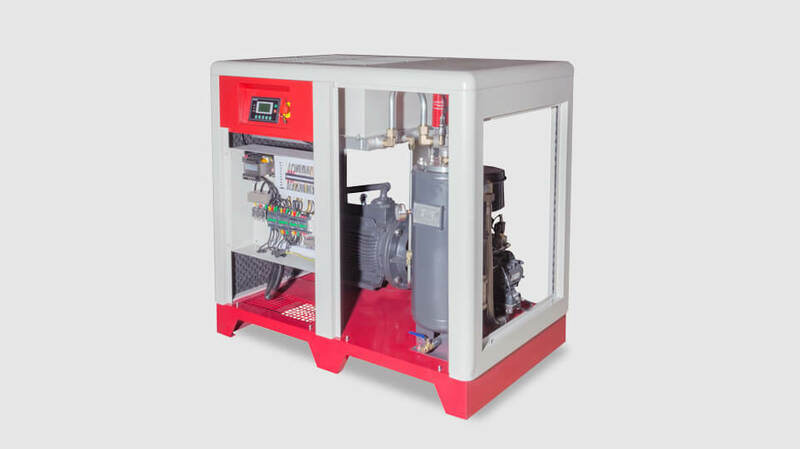 The compressors of the “Storm” series (7 – 37 kW) combine high efficiency with a small installation area. Particular attention was paid to good accessibility for service and maintenance work. 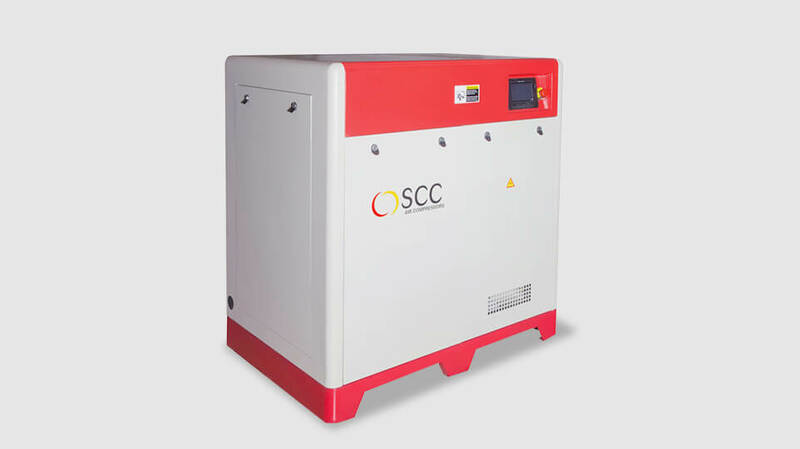 Oil free scroll compressors 3,7-37 kW. 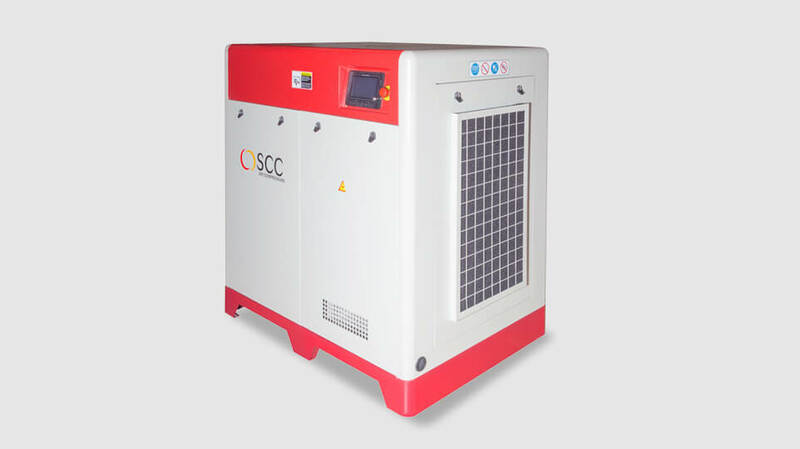 The range of Scroll compressors will deliver 100% oil free air. By using a module design you can choose exactly the size of compressor that you require. The “Multilevel” software makes sure that the compressor continues to run in the optimum operation mode. And when one module shows a failure the software switches automatically to another module, so you always get the air that is needed. System of heat recovery – protect the environment and save money! Usable heat is a byproduct of oil-injected screw compressors applications. With a system of heat recovery you can regain up to 85% of the energy used as hot air, industrial water or heating water. The heat recovery is accomplished either through an integrated plate heat exchanger or with an external heat exchanger box in compliance with the compressor. Ultrasonic Leak Detector – locate costly leaks in your compressed air system! 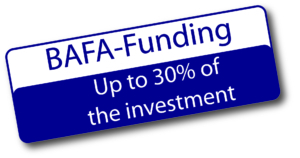 The acquisition of a new compressor might be eligible for BAFA. Pay attention to the following notes according BAFA.